If your order weighs less than 13 ounces, save huge on shipping with USPS first class (with tracking number). This product weighs 1.2 oz. 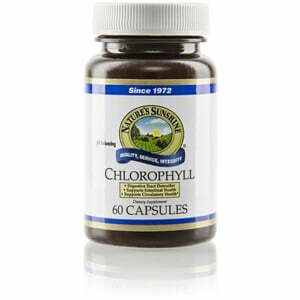 Nature’s Sunshine Chlorophyll boosts the immune system, cleanses the blood, and acts as a deodorizer. This chemical turns the sun’s rays into energy for plants and is chemically similar to human blood. 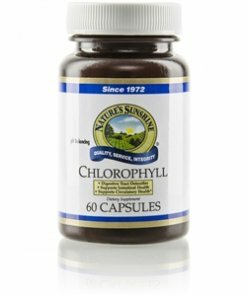 Nature’s Sunshine Chlorophyll is extracted from the alfalfa plant and comes in both liquid and capsule form. Instructions: Take one or two capsules daily with a meal. Soybean oil, gelatin, glycerin, and water.